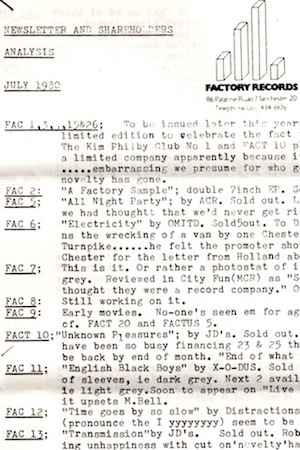 This is the ongoing project to develop the Master Discography of Factory Records including Factory Communications Limited and all its UK and international subsidiary labels: Factory Too, Factory Once, F4 Records, Factory Benelux, Factory US, Of Factory New York (OFNY), Factory America, Factory Australasia and IKON/FCL. Work is substantially completed on all entries but new details tend to emerge as time rolls on and so it is very much still a live project. Many thanks to Steven Hankinson without whom this project would not have seen the light of day. Please visit our sister site Cerysmatic Factory for Factory Records-related news, information, artefacts and more. 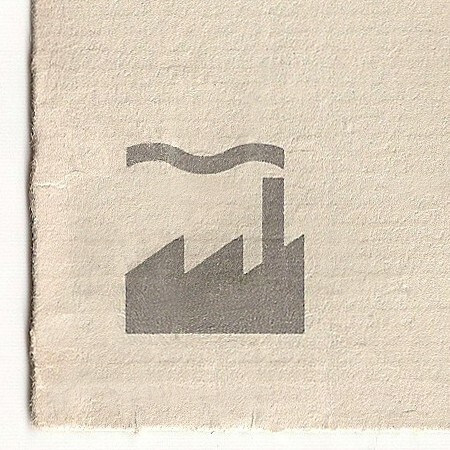 The classic "Factory Records" label founded in 1978, the company name of which was Factory Communications Limited with five founding directors. Wound up in November 1992. Multiple variants of release prefix were used for FAC numbers based on FAC, FACT, FACD and others. Resurrection of the Factory name shortly after the demise of the original company but, at least initially, under the wing of London Records. Subsequently became entirely independent following the founding of Factory Records Limited by TONY WILSON. 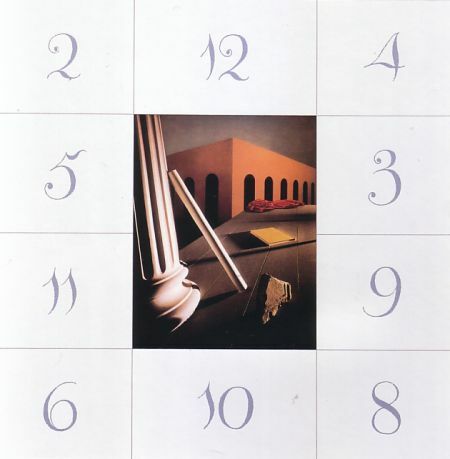 Ceased output in 1998. The FAC numbers of the releases use the regular FAC/FACD-type prefixes but with the numerical prefix "2". 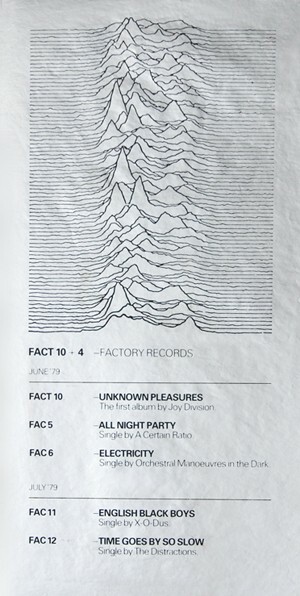 Sub-division of Factory Too which specialised in re-releases of classic period Factory Releases, focusing on the core output of The Durutti Column and compilations. The smallish selection of FAC numbers of the releases uses the FACDO prefix. The fourth iteration of the Factory name (due to company naming shenanigans surrounding Factory Too) which was originally going to be called Red Cellars. Limited output from 2004 to 2005 using FAC numbers with F4 prefix, serial number and postcode-based identifier. European (Belgium, Netherlands, Luxembourg) offshoot of Factory, operated by Les Disques du Crépuscule. The FAC numbers of the releases mostly use the FBN prefix. Largest American sub-section of Factory Records which consistently put out releases during the Eighties. The FAC numbers of the releases mostly use the FACUS prefix. 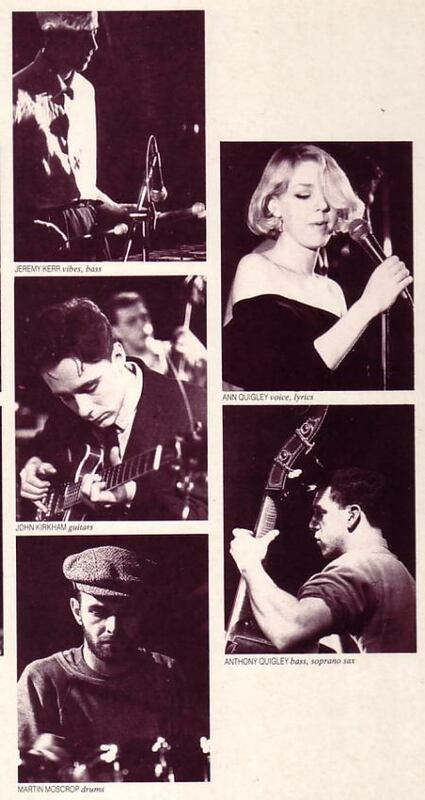 New York operations of Factory Records. Short-lived imprint with OFNY prefix for the FAC numbers. Short-lived American variant of the Factory label which featured New York band Ike Yard. The FA prefix is used for the FAC numbers of the releases. Official Australasian licensee of the Factory Records international empire by way of a liaison with Australia's GAP Records (Gardiner and Penhallow). Most releases use the FACOZ prefix for their FAC numbers. 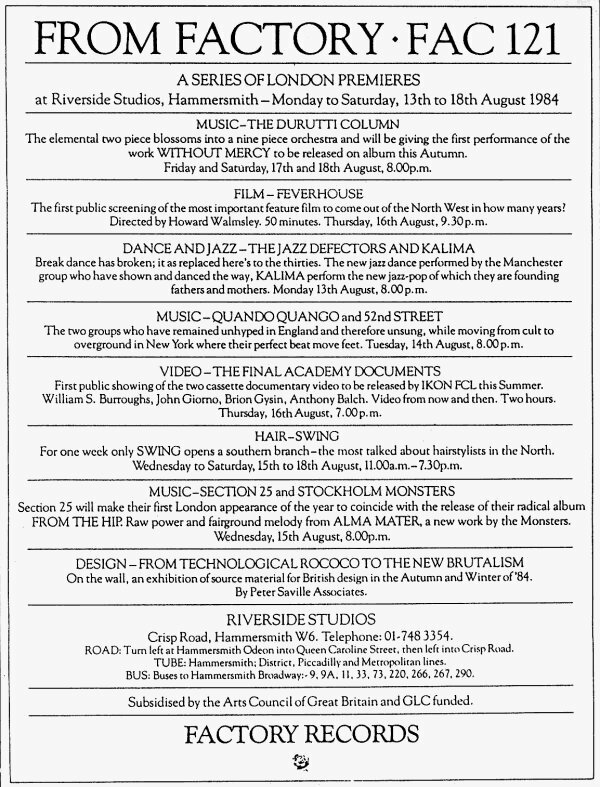 The video wing of Factory Records which featured releases by Factory artists and others. Some releases had multiple catalogue numbers (doubling up on regular UK FAC numbers) but the IKON prefix was consistently used for the FAC numbers. Dance-tinged label set up by JOY DIVISION/NEW ORDER manager ROB GRETTON.